Summer camp should be a place where kids get to be themselves while making friends and trying out new experiences. Kids with special needs can pursue all this — plus have a rollicking good time — at camps equipped with adaptive facilities and skilled staff. Aspiring Youth Summer Camp. Aspiring Youth welcomes all campers who would benefit from small-group settings and social skills support, including those with Asperger’s, learning disabilities, or similar traits. Offerings include traditional day camp in various Seattle and Eastside locations, plus themed camps focusing on video production, theater and building and inventing. Camp sessions generally run Monday–Thursday for two weeks. Apex Summer Camp. Kids with autism spectrum, ADHD and related disorders can attend camp along with their siblings and peers at this inclusive camp, a program of the UW Autism Center. Over the five-week camp session, campers engage in structured activities and recreation, while working to build confidence and social skills. Families may also indicate certain areas with which a camper needs extra help and staff will focus on it. Apex's summer session runs Monday–Friday for five weeks. Blue Compass Camps. These outdoor camps are tailored to fit the specific needs of kids, ages 10–18, with Aspergers, high-functioning autism, ADHD, or others who can benefit from guided adventures focused on building social and self confidence. Overnight camps, offered in several locations around the Puget Sound, will give campers the opportunity to ride horses, backpack or kayak, while enjoying the scenic Pacific Northwest. Camps activities will also include social skill-building, environmental education and crafts. New this year: Adventure Club, a day camp for ages 7–9. Deaf Teen Leadership Camp. Deaf and hard of hearing high school students from across Washington come together to build their skills. Campers pursue activities designed to develop character, build community and empower deaf and hard of hearing young people. Attendees also get to try their hand at a challenge course. Overnight camp runs June 27–July 2 at the Cispus Learning Center in Randle, Washington. Camp Korey. Campers with serious medical conditions find carefree fun and games on a huge farm at Camp Korey at Carnation Farm on the Eastside. Medical personnel are on staff to support campers as they focus on activities like boating, horseback riding, arts and crafts and stage night. Camp Korey welcomes campers ages 7–16 to attend week-long camps during June, July and August. Some camps target specific types of medical needs while general sessions serve kids with a variety of life-altering medical conditions. Stanley Stamm Summer Camp. Kids ages being treated for serious illnesses at Seattle Children’s get a break from the hospital at Stanley Stamm Summer Camp. Named for the Children’s heart specialist who founded it, the overnight camp takes kids for a week of horseback riding, fishing and other camp fun near Mt. Rainier. Camp takes place August 14–19 and interested families should contact Seattle Children's at 206-987-2267 for application information. Camp Agape NW. Kids with cancer, along with their siblings and parents, take part in a week of carnival games, swimming and typical camp fun. Kid campers have special buddies, there is medical staff present, and parents have time to connect with each other as well as with other families. Camp Agape NW, located near Gig Harbor, strives to give “children with cancer a chance to feel normal” and “siblings a chance to feel special." And to give parents a much-needed rest. Community Care Camp for Special Needs. 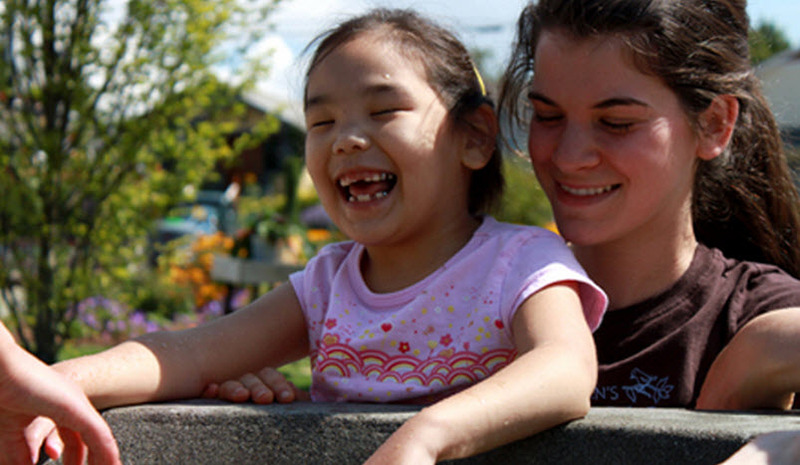 Located in West Seattle, Community Care welcomes campers who have developmental disabilities, mental health or behavioral issues, or who receive special education. The camp seeks to offer safe, fun outdoor recreation and field trips while providing guidance and attention to behavior and special needs. Day camps run weekly all summer long. Camp Patterson. Run by the City of Everett, Camp Patterson invites campers to partake in all the hallmarks of summer camp — swimming, kayaking, field trips and crafts. Through these activities, the day camp seeks to promote a positive self-image and teamwork among campers. Camp Patterson is open to kids with developmental, physical and behavioral challenges (along with children who are developing typically, between ages 5–12). Weekly camp sessions run July through early August and meet at Silver Lake in Everett. Camp Stand By Me. Easter Seals Washington serves people with disabilities in its camp programs on the Key Peninsula. Camp Stand by Me invites youth (and adults) with any kind of disability to enjoy a traditional overnight summer camp experience. The camp’s fully accessible and adaptive environment enables staff to help campers try out typical summer camp activities like horseback riding, boating, archery and swimming. Camp sessions run throughout the summer serving different age groups. Camp Stand By Me also offers weekend respite camps and a long-weekend family camp. Seattle Children’s Playgarden. The Playgarden offers campers an oasis of nature, right in south Seattle. Kids of all abilities get to dig around in the garden, meet chickens and rabbits, and climb into the tree fort. The founder of the Playgarden sought to create a safe, fun place for kids with special needs to just play. Camps generally run four days with themes like Garden Explorers and Green Thumbs. Siblings are welcome for the Playgarden's inclusive programs. Outdoors for All. This aptly named nonprofit encourages youth of all abilities to dig into outdoor sports and recreation. Outdoors for All’s day camps focus on sports like kayaking, rock climbing, cycling and swimming, plus take field trips to fun local destinations. Camps employ a “challenge by choice” policy which invites participants to determine their own comfort level in any activity. Themed Outdoors for All camps are held in one of three locations: Seattle's Magnuson Park and on the Eastside, Lake Sammamish State Park and Marymoor Park. Little Bit Therapeutic Riding Center. At Dunmire Stables in Redmond, Little Bit Therapeutic Riding Center works magic, with the help of four-legged equine friends. Through its therapeutic riding program, Little Bit strives to “improve the bodies, minds and spirits of children and adults with disabilities.” Weekly summer day camps employ stables full of patient, caring horses and a fleet of trained counselors. All kids are welcome, with and without disabilities. Camp sessions run Monday–Thursday. Adaptive Recreation Summer Day Camps. Highland Community Center in Bellevue offers Adaptive Recreation Summer Day Camps designed for youth with intellectual disabilities. Camps feature sports, arts and crafts, and community field trips. Highland Community Center is equipped to provide extra personal support during camp for those in need. Adaptive Recreation Day Camps run weekly for seven weeks in the summer. For more information, call 425-452-4118. Kiwanis Camp Casey. “The best week of the year” is the lofty goal that Kiwanis Camp Casey has for its campers. This overnight camp on Whidbey Island serves kids who have physical disabilities. Among other activities, campers get to swim in a heated pool, visit the beach and explore neighboring Fort Casey, a former coast artillery post. Camp meets July 31–August 6. Camp Explore and Camp Excel. The City of Shoreline's Camps Excel and Explore provide Shoreline youth and teens with developmental disabilities the chance to have a fun and safe summer camp experience. Youth participate in games and activities while teens venture out on field trips to local destinations. Reserved for Shoreline residents only, the camps are staffed by trained counselors and run multiple weeks through the summer. Camp Adapt to Achieve. This camp for kids, teens and young adults with physical disabilities and visual impairments will get participants moving. Friends and family members are invited to join the action for adaptive sports such as goalball, wheelchair basketball, kayaking, archery and more. Camp meets half-days for the week of August 1–5. Camps Kaleidoscope and Periscope. These recreational camps offer a week filled with sports, crafts and fun with friends for kids, teens and young adults with developmental disabilities. Other activities include field trips, water games and other outdoor fun. Each camp meets from 9 a.m. to 2 p.m. for a week. Kaleidoscope, for ages 15–21 will be held the week of August 1–5; Periscope, for younger kids, ages 8–14, is scheduled for August 15–19. Young Athletes Special Olympics: Motor Development Program. 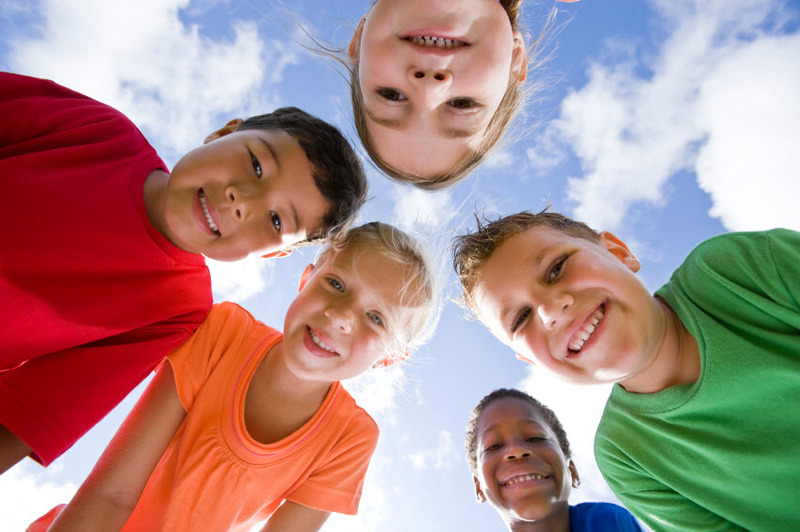 It's not a camp, exactly, but this inclusive class for kids ages 2–7 lets all the little ones get in the fun of sports and physical activity. This is an opportunity for kids of all ability levels to practice skills like throwing, kicking, balancing and jumping. Class will be held on Monday or Tuesday from 10:00–11:15 a.m. from mid-May through July. This article was originally written in 2013 and updated for 2016.